Hundreds of people rallied at the Capitol on Thursday, demanding that Planned Parenthood clinics be allowed back into the Women's Health Program. They called on lawmakers to pass House Bill 2819, authored by state Rep. Senfronia Thompson, D-Houston, which would restore the Medicaid Women’s Health Program to the way it was before last session, when Republican lawmakers implemented a ban on clinics "affiliated" with abortion providers. That prompted the federal government to stanch the flow of funding to the program — some $30 million annually — financing now covered by state dollars alone. Republican lawmakers say it was the right call to ensure that no taxpayer dollars in Texas were being spent on clinics that either performed or endorsed abortions. The affiliate ban has halted the flow of Women's Health Program funding to 50 Planned Parenthood clinics that participated in the former Medicaid program. To test the capacity of the Women’s Health Program without the participation of Planned Parenthood, the Health and Human Services Commission conducted a survey of other providers in areas served by Planned Parenthood clinics. 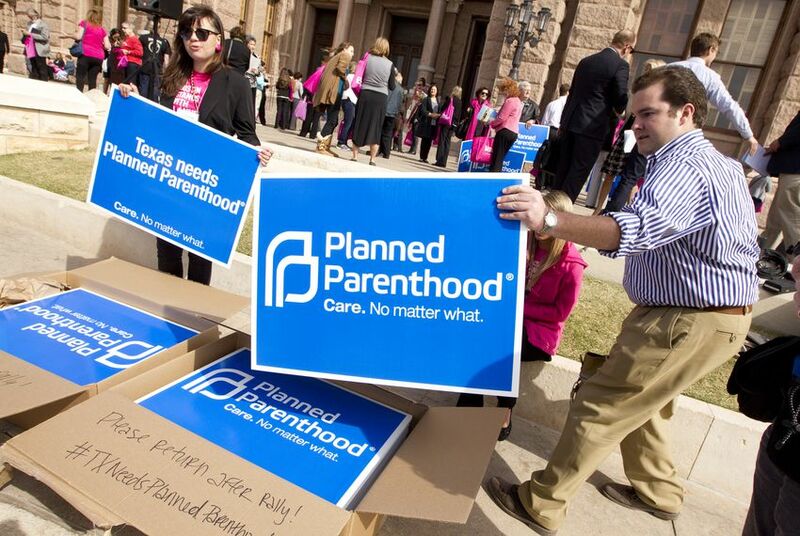 They found just two areas, San Angelo and Corsicana, that would not have enough providers to serve enrolled program patients without Planned Parenthood. An interactive map of those survey results can be found here.